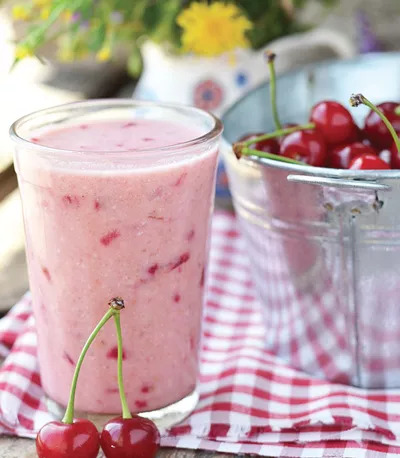 These recipes include ingredients like blueberries, watermelon, and cherries that may help fight inflammation and get you out the door for your next workout. I recently published a book! It's calledÂ The Part Time Vegetarian (PTV) Smoothies and Juices: Boost Your Immune System and Increase Your Energy With a Flexitarian Diet, and it was just released a few weeks ago. Of course, I'm really excited about having my juice and smoothie recipes published in book, soÂ I wanted to share some of my very favorites that most likely will appeal to the fitness lovers out there. 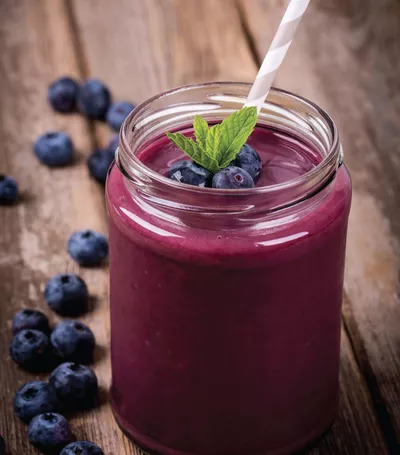 These recipes include nutritious ingredients like blueberries, watermelon, and cherries which mayÂ help fight inflammation and promote repair inside the body, which is especially important for overcoming soreness and getting out the door for your next workout. Enjoy! Blast off with this antioxidant-rich smoothie that will give you an energy boost right from your very first sip. Not only will blueberries and pomegranate juice tantalize your taste buds, they also may help fight inflammation and improve muscle recovery, respectively. Combine ingredients in a blender until smooth.Â Pour into a glass and enjoy immediately. Try this: For a refreshingly sweet smoothie, add 8-10 fresh mint leaves before blending. 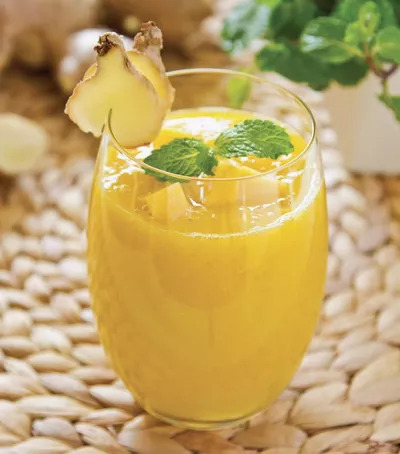 In the middle of a hot, humid summer, you will love this simple, refreshing juice. 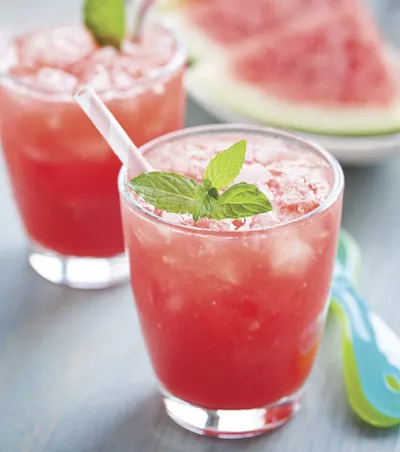 In addition, the high water content of the watermelon will help you re-hydrate after your workout and a compound found in watermelon may help reduce muscle soreness. Combine all ingredients in a juicer. Pour juice into a glass over ice and drink immediately. Citrus and ginger are a winning combination in this smoothie. From the first sip, you'll feel more awake and energized. The iron in the spinach also gives your body a little boost and a compound in pineapple called bromelain may help you bounce back from injuries like tendinitis and sprains by reducing inflammation. Sweet and creamy, you'll love enjoying cherries this way. A serving of yogurt adds creaminess and flavor along with some healthy fats and protein to keep you satisfied. Tart cherries may have anti-inflammatory powers and can help reduce post-workout soreness. Combine ingredients in a blender until smooth. Pour into a glass and enjoy immediately. Try this: For an even thicker and more satisfying smoothie, add 1/4 cup of rolled oats along with an additional 1/2 cup of almond milk before blending. Read Tinaâs daily food and fitness blog,Â Carrots âNâ Cake.